Moving at the Speed of Creativity | 2010 EduBlog Award Nominations: Please Vote! 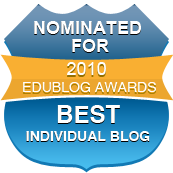 2010 EduBlog Award Nominations: Please Vote! Please take some time and cast your votes in these and other categories. 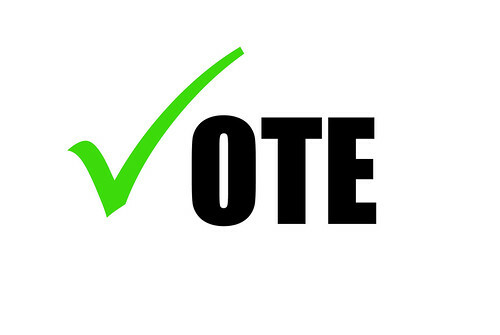 One vote per IP per category is allowed. I think winners will be announced by the end of the year, but I’m not sure the exact date. I know there are mixed feelings about the EduBlog Awards. Last year Miguel Guhlin declined his nomination. Tim Holt has posted contrarian ideas in the past about it. I didn’t actively solicit votes with a post last year, as I am this year, and I certainly acknowledge like any contest involving popular voting there is going to be some controversy as well as dissension. 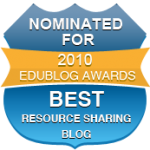 The point of blogging is not to earn an award, but there are definitely constructive benefits to a contest like this which go beyond “the good feeling” winners have each year and the prizes awarded by EduBlogs. An example is seeing links for the 34 nominees in the “Best New Blog” category. I’ve subscribed to all of these (to which I was not already subscribed) in Google Reader, and I might not have encountered many of these without the contest. Is everyone “a winner” for sharing their ideas with the wide world on their blog? Yes, absolutely. Does everyone deserve recognition for their blogging efforts? Yes, absolutely. Are contests like the EduBlog awards inherently biased, unfair, and therefore not worthwhile? No — There are many benefits to the contest, and the opportunity to amplify educator voices and ideas for a wider audience is one of the most important. I encourage you to take some time to vote for many outstanding nominees this year, and consider subscribing to many of the nominees in your own news reader / RSS aggregator. Google Reader is my favorite, and all my education-related feeds are available if you want to check those out as well. 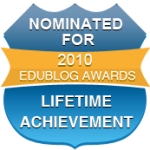 3 Responses to 2010 EduBlog Award Nominations: Please Vote! Congratulations Wes on your nominations! I am somewhere in the middle of the spectrum on the Edublogs awards “controversy.” Fortunately, it does have some good that comes out of it. My biggest concern is the “free advertising” that Edublogs gets as well as the huge range of quality in each category. However, your post provided both sides very well. Good Luck! I declined nomination this year as well, Wes. But now I know better than to rail against the wind and stars…just better to enjoy the fresh air of new blogs, the illumination of brilliant thoughts, and ignore those who seek to chart their path.